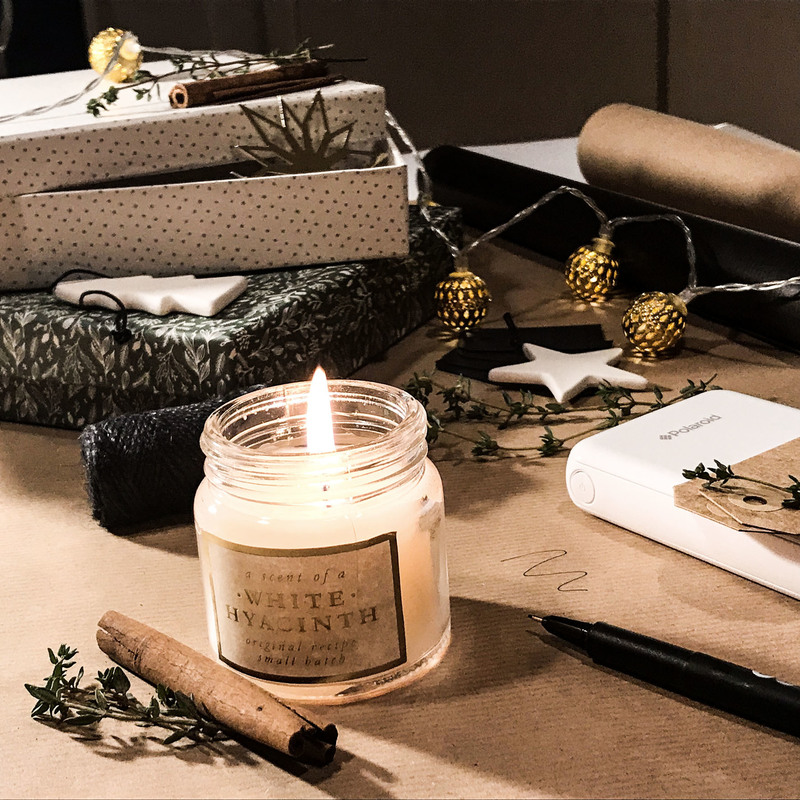 A thoughtful gift without a beautiful wrap wouldn’t be the same, right? 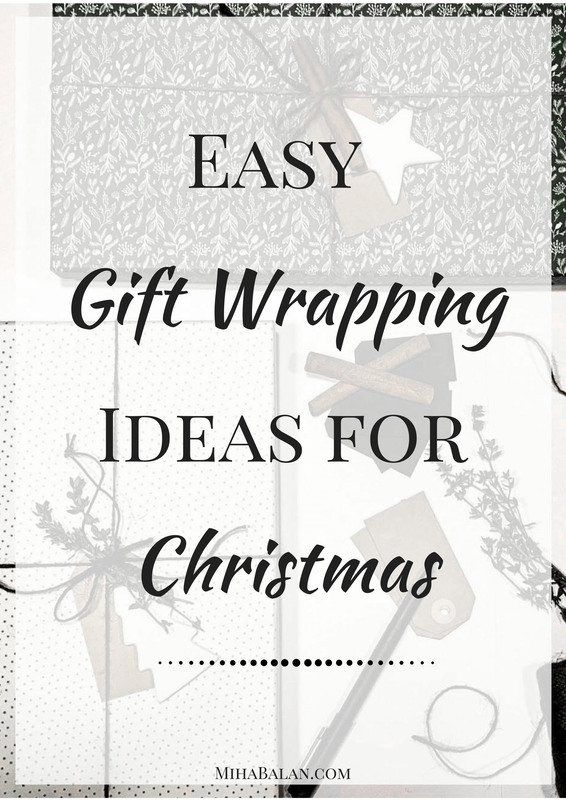 While everyone is busy buying the perfect gift for their loved ones, I thought I would give you some simple ideas of how to wrap them as well. 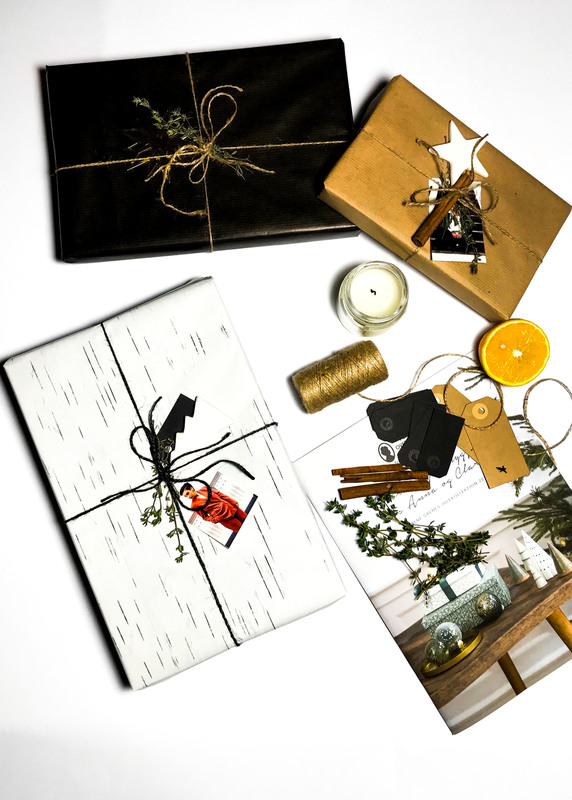 A beautiful gift wrap shows the person how much you care on top of the present. 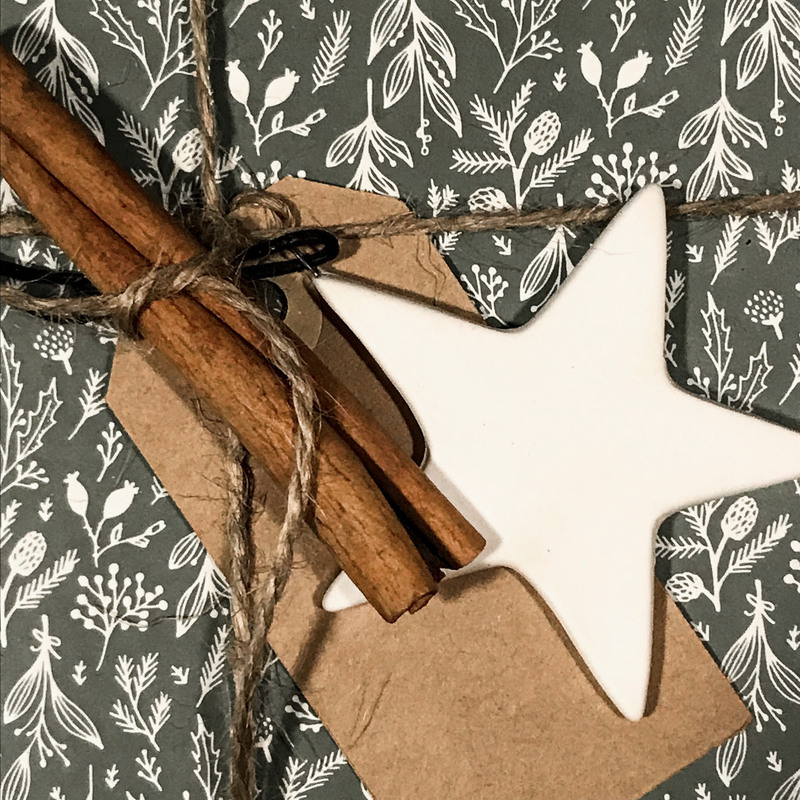 So what do you need for these 3 gift wrap ideas? Not much, really. Gift wrapping paper, I choose to go with black, white and brown because I like them more simple and so I can focus on adding some other small stuff on top. You can find gift wrap paper HERE (brown and comes in other colors as well). 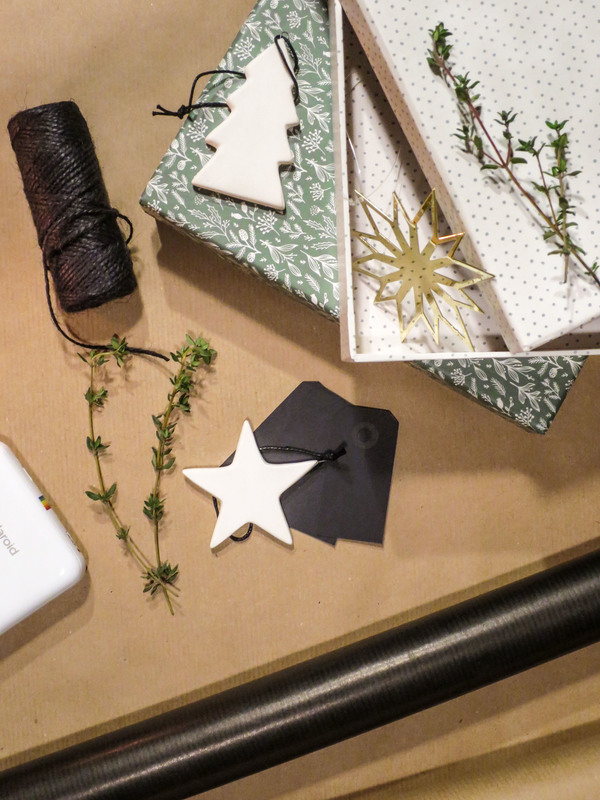 Ornamental accessories, I found some really nice white stars and other items to add to the wrap that I think really helps make the gift stand out. To make it extra special, my friend suggested that it would be a good idea to have a picture of yours or the person that you are giving the gift to printed out and attached to the gift and he borrowed me his Polaroid to do so. Isn’t that great? It’s really easy to use, basically it prints out any picture from your phone in seconds. If you are interested in the idea, I found the Polaroid camera HERE with 50%off only these days. What do you think of these ideas? Would you try any of them home?